Can your Sunday range barbecues be assembled with normal mortar or is anything else required? assembling a masonry barbecue is easy and fun, but requires some precautions. The choice of the suitable cementing materials is one of the first issues to consider. 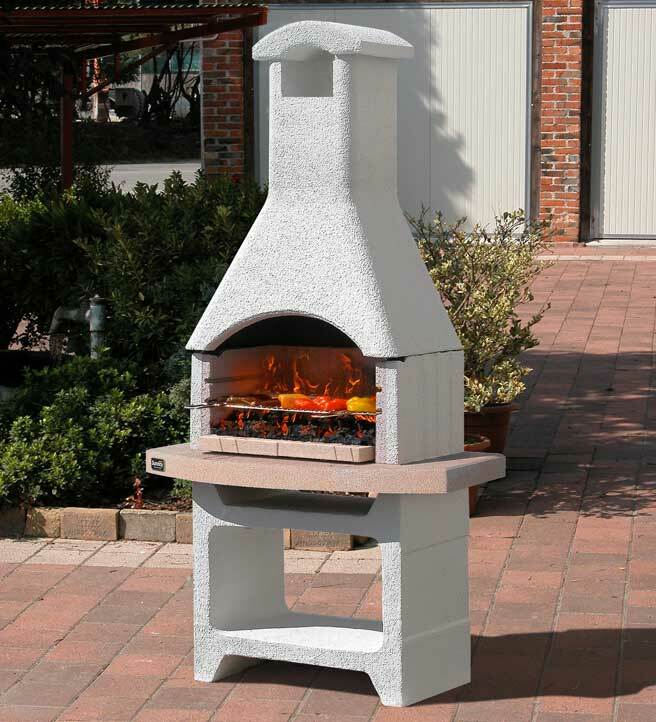 A sealing adhesive must be exclusively used for granulated marble barbecues, such as the New Jersey model in the photo, resistant to the high temperatures generated in the hearth (at least 200°C). For this purpose Sunday has patented the BETONFAST® glue which, thanks to its elasticity, allows the various components to dilate with the heat of the direct flame, without breaking, even at the high temperatures reached with the wood fire. BETONFAST® also makes it possible, in case of need, to take down the components, for example to change position or replace a worn part. 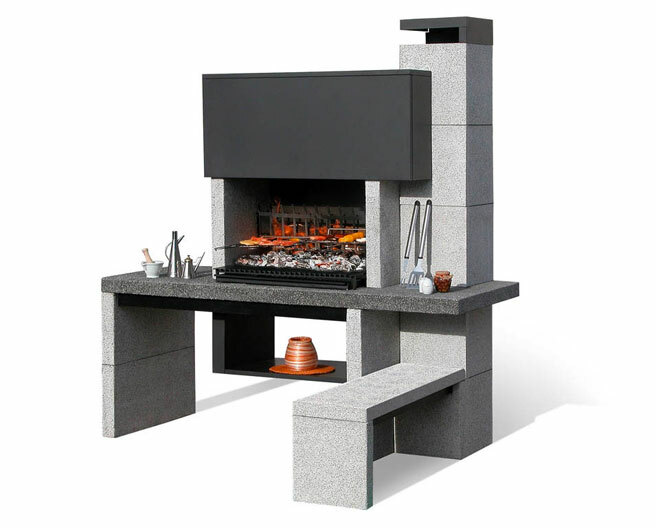 Refractory concrete barbecues, such as the Merida model in the photo below, may even be assembled with normal mortar, consisting of 80% sand and 20% cement. This is possible because excessively high temperatures are never reached in these barbecues, since they are only used with charcoal and not with wood. As stated in our assembly instructions, it is forbidden to use high resistance or quick-setting cements (such as white cement, aluminous cement, refractory cement or tile adhesive etc. ), because they do not allow for the items' thermal dilation, leading to tension that might crack the components and in some cases even break them. We hope we have answered your question, best regards and do not hesitate to contact us for further information.